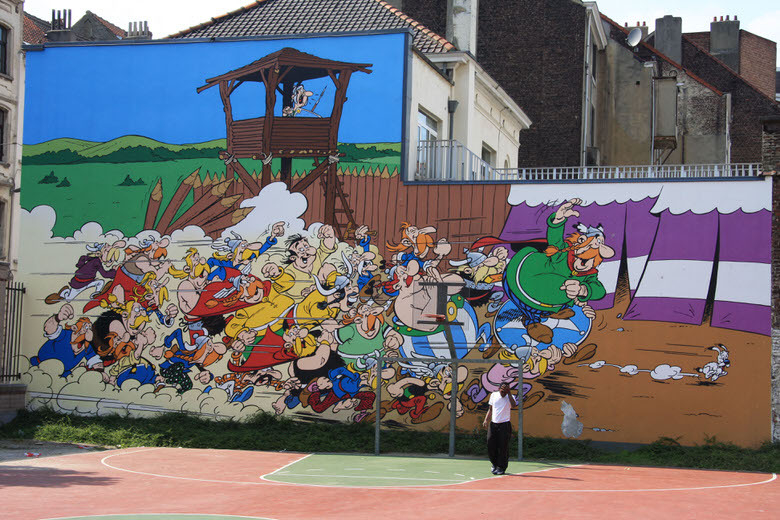 This colorful and energetic mural representing The Adventures of Asterix is found on the back wall of a public soccer and basketball playground at 33 rue de la Buanderie. Created by the duo Albert Uderzo (text) and René Goscinny (illustrations) this extremely popular comic strip series has had 33 albums published which have been translated in over 100 languages since 1959. The charge on the Romans is led by Obelix’s dog: Idefix. 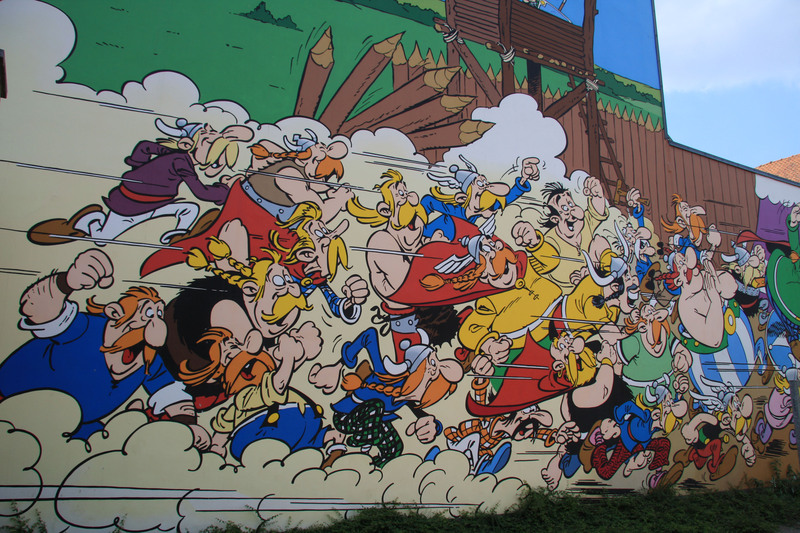 You are currently reading "Asterix et Obelix mural"